Scientists have discovered a drug which they say can kill malignant leukaemia cells. Tests show PBOX-15 can even destroy cancerous cells from adults whose health outlook is poor because of the disease's resistance to existing treatments. Laboratory experiments found it is effective at killing malignant cells from patients with chronic lymphocytic leukaemia (CLL), a cancer of the blood and bone marrow, but spares normal cells. Researchers at Trinity College Dublin, in partnership with University of Siena, Italy, say the findings show 'significant potential' as the first agent of its kind. He warned, though, that it could be another three to five years before the drug is used as a lifesaving treatment. In the UK around 3,700 patients a year are diagnosed with CLL. It is the most prevalent form of adult leukaemia, affecting more than a quarter of patients. The disease may progress slowly, causing problems over months or many years, but some patients respond very poorly to current drugs. The new study, published in the international journal Cancer Research, shows that PBOX-15 works by interfering with the structure of cancerous cells. It activates a mechanism which induces death in the cells, even those which have become resistant to chemotherapy. Professor Lawler, lead investigator on the study, tested PBOX-15 on samples given by 55 patients. He said it was more effective than fludarabine, the current medication used to treat the disease, and also killed CLL cells that were resistant to treatment. The professor said the advance was made possible by cooperation across the different disciplines of chemistry, biochemistry and molecular medicine at TCD, together with colleagues in Siena, St James's Hospital, Dublin, and Belfast City Hospital. 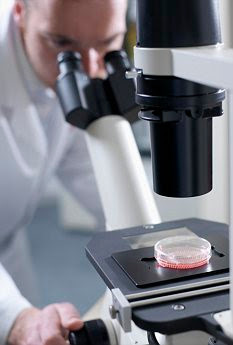 He said: 'The complementary expertise allowed us to approach the problem of killing CLL cells from a number of angles'. The professor added: 'The need for novel treatments is acute in CLL, especially for the sub-group of patients with poor clinical outcome and drug-resistant disease.